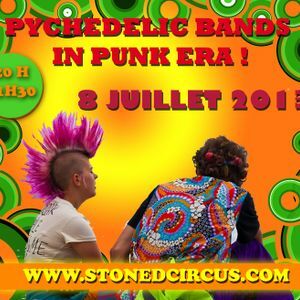 Stoned Circus SPECIAL SHOW - Psychedelic Bands in Punk Era ! - July 8th, 2013by Stoned Circus Radio Show ! Anonymous, LYONHILL, Emerald City, MAGIK DAYZE, Galaxy and more. Stoned Circus Radio Show - Garage & Psychedelia from all over the world (from the 60&apos;s to the 00&apos;s) Freak out the jam ! EACH MONDAY 8:00 to 9:30 PM (Gmt +1 Paris). merci. et il y en a plein d&apos;autres en écoute !